I'm glad I made my purchase from Mdwindustrialsupply.com. Robert provided me with superb customer service. He went above and beyond to get my product to me in the time frame that I needed. Thank you Rob! Great support team that was able to answer all of my questions and provide helpful recommendations. I would like to take this opportunity to thank Rob for his outstanding customer service, support and follow-up on my order processed oil pump. Thanks Rob! And thanks Mdwindustrialsupply.com!!! Hey thanks for shipping the booster pump to me again. Great service!! Received a product that did not match the picture on the website. Expressed frustration that if I returned the item, I would not only pay shipping, but a restocking fee. Received a phone call apologizing that the picture was not accurate, and that new digital pictures would be added to the website. Also, I was given an option to receive my $ back or to pick a color that may be better, which worked perfectly. And, although I offered to still return the first item, was informed to keep it. Excellent customer service - I am impressed! I was very happy with the purchase I made from Mdwindustrialsupply.com Everything was top quality. The sales people were very helpful and the delivery was speedy. I bought several items from mdwindustrialsupply.com and I'm always very pleased with the items ordered and with shipping. It's always on time and I'm well notified once it's on route. I highly recommend this website and all their products. I wouldn't go anywhere else for our project needs. Keep up the good work. I have ordered several sump pumps with no issues. Working with the Returns Department, due to me ordering the wrong part, was very quick and efficient. The turbine pump we purchased was excellent; everyone I dealt with at the company was cheerful and polite. There was a mix-up in our delivery that took several days to straighten out, though. That was a little frustrating. Just a quick note to let you know that we have received the Barrel Pump late this afternoon. I haven’t opened it up yet, but plan to do so tomorrow, first thing in the morning. Thanks again for your help. I must say you have been great right through from start to finish and your customer service in following up is incredible. We will definitely purchase stuff from Mdwindustrialsupply.comin the future. I am extremely impressed with your organization. Fantastic follow-up, great web links for additional info, and a telephone advisement that this minor little purchase would be delayed in delivery as well. That is showing incredible respect for the customer- I'll be back if I need what you sell again. I accidentally ordered the wrong product. I called the 24/7 number and was amazed to find I spoke with a real person without tiresome levels of menu options. The people spoke in English without accents. Great job!! Thank you so much for the updates. Yes, we had some very bad storms. But I would like to say I’m very impressed with your company. I will be using your company from now on when we need something. Customer satisfaction is the key for company’s staying in business. Keep up the excellent work and the exceptional customer service. Thank you so much for doing a great job. Robert was very helpful. After talking with 3 people about the purchase of a water pump, Stephanie was the first to offer to find prices for me and send me a quote! She was very thorough, courteous and efficient. She is a terrific asset to your company. Do you have a means to recognize her for positive customer feedback? Hey Rob, I just wanted to write and say thank you very much for the refund of $360 on Visa. I will not hesitate to recommend Mdwindustrialsupply.com to colleagues and friends. The flat extension cord is truly a miracle...not to mention the customer service! Thank you for your website! We moved into a new home and never got the owner manuel on our Trash Pumps. I was trying to figure out why the red light was blinking and your website had the info I needed!! (I couldn't find it through the manufacturer's website). One of your team called me within half an hour of the order being submitted and let me know that a set of Dayton pumps are included with each case. This saved nearly $600 dollars, and the hassle of the whole return process. Outstanding customer service like that is noted and appreciated. It is a major factor in repeat business and in giving recommendations. I would like to compliment you on an excellent site, good e-mail confirmations and timely shipments with comprehensive receipts. I don't know if you have the best prices (they seem competitive), but the easy navigation and plethora of info on the website (tutorials, etc) is why I decided to order from you. Just wanted to let you know I received my order this afternoon. I know nothing about what you sell, but I am sure from all the testimonials I read to get an idea what to say, that you are all wonderful people to work with, and very helpful . Just a note to tell you that I appreciated the quick, efficient service you provided to me recently. My order was a small one, but you treated it as if it was the only order you had! I got the merchandise quickly and it was exactly what I ordered. So many times these days, that's not the case. Anyway, I just wanted to thank you. It's obvious that you have good people working at your organization, who care about the customers. 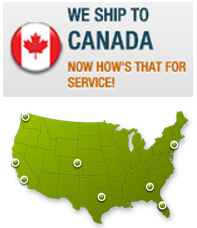 I am very pleased with the service given by www.mdwindustrialsupply.com. I recommend this sight to everyone. One, because of their fast service, reliability and new products! Two, because they just strive to make your purchase excellent in every way. Thank you, Mdwindustrialsupply.com, for your excellent service. Will buy again in the future! We have never purchased product from your company, but will refer others. Your company website is very easy to use and your prices are great. Thank you for this email and information. and location. I very much appreciate this "customer care" and I will be a repeat customer! Order received today, everything as expected. Mr. Robert, thanks for your help. I just wanted to let you know how much I appreciate the great service during problems with my purchase several weeks ago. I was very impressed by their customer service. I had accidently ordered the wrong cables, but the CS took care of it without any hassles. Response time was excellent and their CS was very friendly and helpful.